E-learning is a boon for the training industry, but its implementation may be a challenge for companies. So, we should have a solid plan to implement eLearning successfully across the whole organization. We should make our organization ready for eLearning. We should encourage SMEs and training managers to make everyone aware of eLearning and clear their doubts. Good coordination between the top management and employees is needed to successfully implement eLearning. Prepare for the introduction of eLearning in your organization as if you are preparing to welcome a baby in your house. 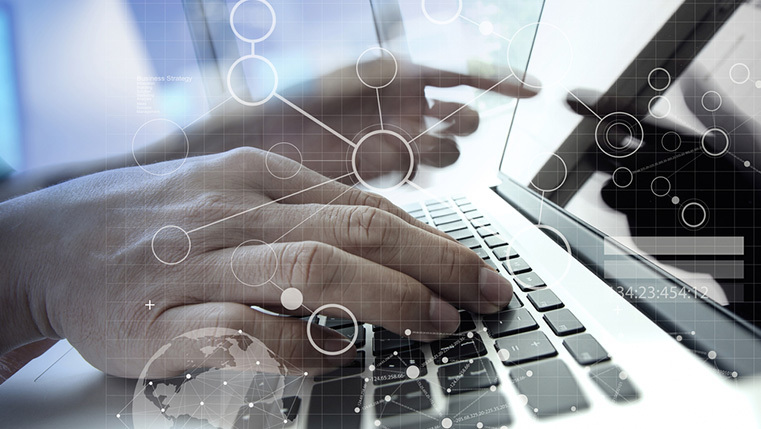 Align your organization’s resources, and make your employees accept eLearning whole heartedly. 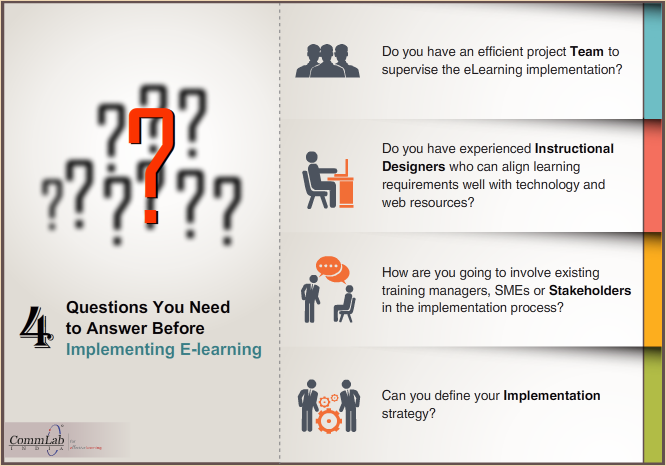 Here is an info-graphic that lists four important questions you need to ask before implementing eLearning in your organization. Hope you find this blog interesting. Do share your views.